Eliminating the permitting backlog facing the Department of Interior for oil and gas drilling is a top priority for Joseph Balash, nominated by Trump to help lead the land and minerals management office. More than 2,800 outstanding Applications for Permit to Drill (APD) remained in a January 31, 2017 survey of DOI records. Interior Secretary Ryan Zinke issued a secretarial order in early July directing the agency to “follow the law” on holding quarterly lease sales on Bureau of Land Management holdings and to push through permits that have languished, in some cases, nearly a year. 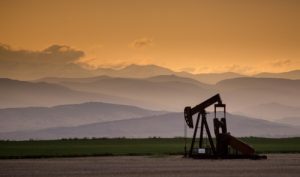 “Oil and gas production on federal lands is an important source of revenue and job growth in rural America but it is hard to envision increased investment on federal lands when a federal permit can take the better part of a year or more in some cases. This is why I’m directing the BLM to conduct quarterly lease sales and address these permitting issues,” said Zinke in his order. The backlog has produced a review period that exceeded 257 days on average in FY 2016, far above the 30 days provided by statute, DOI said. Five BLM field offices in four states account for 74% of the pending APDs. The field offices are located in Casper, Wyoming; Vernal, Utah; Dickinson, North Dakota; and Carlsbad and Farmington, New Mexico. Balash, chief of staff for Sen. Dan Sullivan (R-Alaska), said “the overall management approach needs to reflect the fact that these lands belong to the public,” echoing Zinke’s July directives calling for a more responsive agency that would be a “good partner” with states and with energy producers. If confirmed Balash would oversee BLM as well as the bureaus of Ocean Energy Management and Safety and Environmental Enforcement, along with Office of Surface Mining Reclamation and Enforcement, according to E&E News. BLM is responsible for nearly 250 million acres of public lands. In his testimony, Balash told the Senate Energy and Natural Resources Committee that he once believed jobs and the environment were mutually exclusive. Moving to Alaska with his family, however, changed his mind. “The reality of how Alaska managed to produce so much oil while sustaining healthy salmon populations caused me to revisit those earlier conclusions. I realized that with the right approach, you can have responsible development without sacrificing clean air and water,” Balash said. Balash said he would apply the same efforts at DOI, emphasizing transparency in decision-making, recreational access, and responsible energy development.